Play New England Patriots -6.5. Bill Belichick has made life miserable for Andrew Luck in the three games were the two have faced off. Luck has thrown 8 interceptions in those three meetings, including 4 in last year’s playoff matchup. Luck and the Colts are clearly the future of the AFC, but I just don’t see them being able to have the same kind of success against the Patriots as they did the Broncos. Peyton Manning was clearly not the same quarterback that we saw lighting up the scoreboards earlier this season and the Colts took advantage of it. 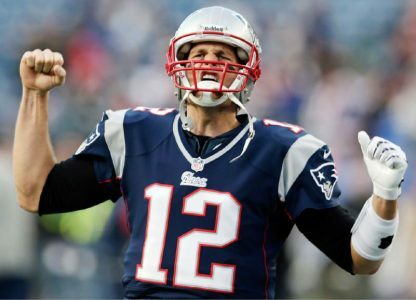 Tom Brady is getting up their in age, but he’s still playing at a high level.The think you have to keep in mind is that not only has Belichick’s defense made life miserable for the Colts offense, New England has scored at least 42 points in their 3 straight blowout wins over Luck and Indianapolis. Look for the Patriots to take away T.Y. Hilton and get a lot more pressure on Luck than Denver did. So much is being made about Seattle and their homefield advantage, but when it comes to the playoffs, there’s not a tougher place for a road team to come away with a win than New England. I just think the Patriots are the much better team in this one and will end up winning here by at least a touchdown. There’s a strong system in play suggesting a fade of the Colts. Road teams off an upset win as an underdog in a matchup of two teams with winning records in the 2nd half of the season are 68-115 (37%) ATS since 1983. It’s also worth noting that New England is a perfect 6-0 ATS in their last 6 home games against excellent passing teams that average 260 or more yards/game and have won these contests by an average score of 40.0 to 23.5 (16.5 ppg). Take New England! DOMINANT 6-2 L8 & 11-4 L15 NFL to go with an Amazing 90-57 (61%) Run Over L147 NFL ATS Plays! Jimmy Boyd is also working on a Red-Hot 60% Run Over L62 NFL Playoff Picks! If you are serious about annihilating your bookie this Sunday on the pro gridiron, make sure you are on the same side as Boyd’s 5* NFC Championship Game No Limit Top Play! You will be betting with confidence behind inside analysis and a PROVEN 69% 10-Year System! Get in on the action now! You are GUARANTEED TO WIN or you will receive Jimmy’s Super Bowl pick for FREE!